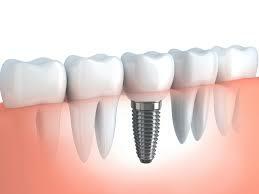 A dental implant is an artificial tooth root that we place into your jaw to hold a replacement tooth or bridge. Dental implants are an ideal option for people in good general oral health who have lost a tooth or teeth due to decay, gum disease, an injury or some other reason. Dental implants are so natural-looking and feeling, you may forget you ever lost a tooth.You know that your confidence about your teeth affects how you feel about yourself, both personally and professionally. Perhaps you hide your smile because of spaces from missing teeth. Maybe your dentures don’t feel secure. Perhaps you have difficulty chewing. If you are missing one or more teeth and would like to smile, speak and eat again with comfort and confidence, there is good news. Dental implants are teeth that can look and feel just like your own! Under proper conditions with diligent patient maintenance, implants can last a lifetime. Cosmetic: Dental implants look and feel more like your own teeth. Since dental implants integrate into the structure of your bone, they prevent the bone loss and gum recession that often accompany bridgework and dentures. No one will ever know that you have a replacement tooth. Tooth-saving: Dental implants don’t sacrifice the quality of your adjacent teeth like a bridge does because neighboring teeth are not altered to support the implant.  More of your own teeth are left untouched, a significant long-term benefit to your oral health. If you are in good general health you will typically be a suitable candidate for dental implants. The longer that your teeth have been missing the more likely that your bone has been lost to some degree however it is still possible to place implants with new advances in bone growth and implant placement. This procedure is a team effort between you and the dentist. Your dentist will consult with you to determine where and how your implant should be placed. Depending on your specific condition and the type of implant chosen, your dentist will create a treatment plan tailored to meet your needs.Normally a number of X-rays will be taken before and during treatment to confirm what will be done before you are given a treatment plan for your implants. If you are missing a single tooth, a single implant and a crown can replace it. A dental implant replaces both the lost natural tooth and its root. If you are missing several teeth, dental implants can replace them. Dental implants will replace both your lost natural teeth and some of the roots. You are better off getting as many implants as possible to replace your missing teeth. If you do too large a bridge on too few implants the implants may be overloaded and fail. We would typically advise one implant per missing tooth unless the forces from chewing are very low. Talk to us today to find out if dental implants are the right solution for you!